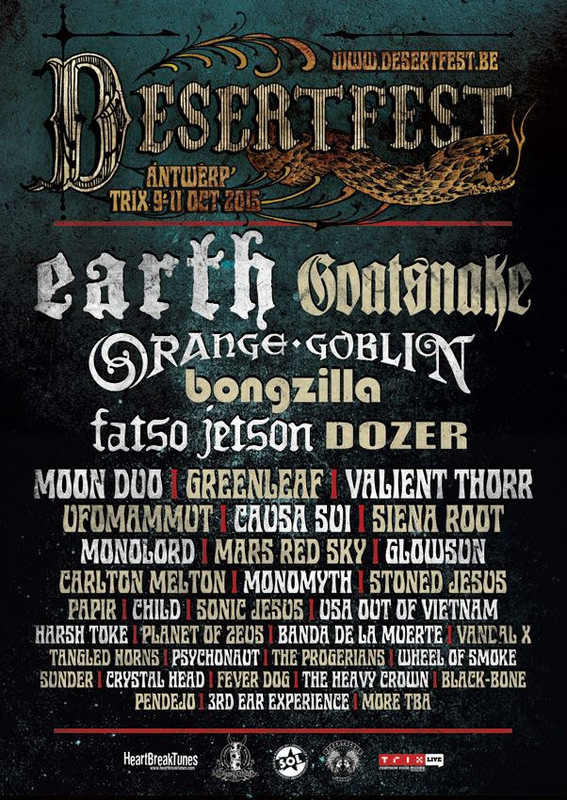 For its next-to-last announcement, Desertfest Belgium is proud to welcome megalithic legends EARTH to the bill, for the first time ever at Desertfest! In addition, the festival also confirmed Ukraine’s number one heavy mongers STONED JESUS, Copenhagen’s instrumental drone trio PAPIR, eclectic foursome USA OUT OF VIETNAM, Argentina’s sludgers BANDA DE LA MUERTE, British rockers CRYSTAL HEAD, Bruges vintage THE HEAVY CROWN and the one and only PENDEJO! Day tickets on sale next week with final announcement!